If what you're saying is a FACT, bring up the proof / source. If you're coming with an OPINION, let's keep mine. The last part may seem a bit assholish, but ... dude has got a point. Why? 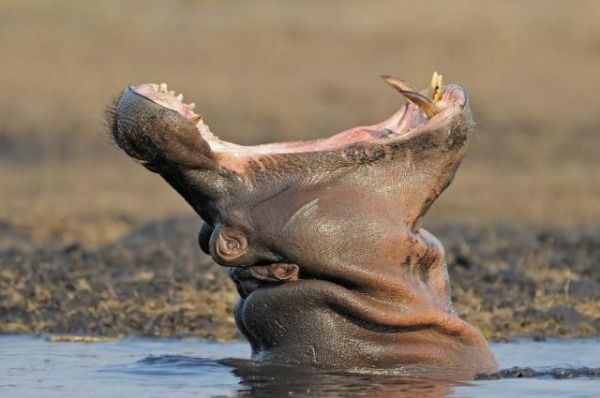 Fighting HiPPOs shouldn't be about downcasting authorities & introducing direct democracy (all decisions based on votes where everyone regardless of rank & experience gets equal vote)). The highest paid person is usually paid highest for some reason - (s)he's not guaranteed to be right, be (s)he's usually supposed to have a lot of experience / knowledge / skills / wits in some particular area. Playing down its value just to please some undervalued individuals is a typical play for cheap publicity ("power to the people!"). Synergy of the team is not about downsizing everyone to the same level and killing people uniqueness, but about full utilization of team's combined potential, with individual cogs playing different roles they are best suited for (keeping in mind both team's good & their good). Self-governing, self-organizing team is a great principle. But it doesn't really work like some people think: there still ARE leaders (because there's a big need for them). Leaders on various levels, but in such teams they usually emerge in a natural way - their position (doesn't have to be formal) & reputation is earned by field merit, instead of coming from a grant. Of course leaders do not have to be leaders in general, leading may be limited to particular field the individual is good in. But anyway ... Good leaders grow (as a side effect). They (their activities) are visible & so they are more likely to get promoted / get a raise / increase their status within organization. Sometimes they are the creators & founders, who laid the foundations for this team / unit / organization. That's why they may end up as the Highest Paid People. Is it that bad? Would Apple / Amazon / Tesla / Facebook be in the place it is now, if they've followed fully democratic rules?